The makings of a historic margarita road trip. Like that of most great cocktails (and most great nights spent drinking those cocktails), the margarita’s history is blurry. We might not know who first mixed up the zingy, citrusy drink but we do know about a few landmark locations in the drink’s evolution. I recently sat down with spirits expert and author Noah Rothbaum, who helped me identify five key bars and restaurants that played important roles in the history of the margarita. While the margarita has no official birthplace, one popular story places it at Turf Bar, a Main Street, Tijuana bar where a man named Henry Madden bartended in the 1920s and ’30s. Madden was famed for his take on a Daisy, a classic cocktail traditionally made with brandy, lemon, sugar and Curaçao liqueur (or raspberry syrup). Madden’s version of the cocktail wasn’t made with brandy, though. According to a reporter who visited the bar in 1936, Madden’s recipe came about by mistake—he simply picked up the wrong bottle one day (cocktail historians assume it was tequila, though there’s no actual evidence of that) and went with it. And (ta-da!) 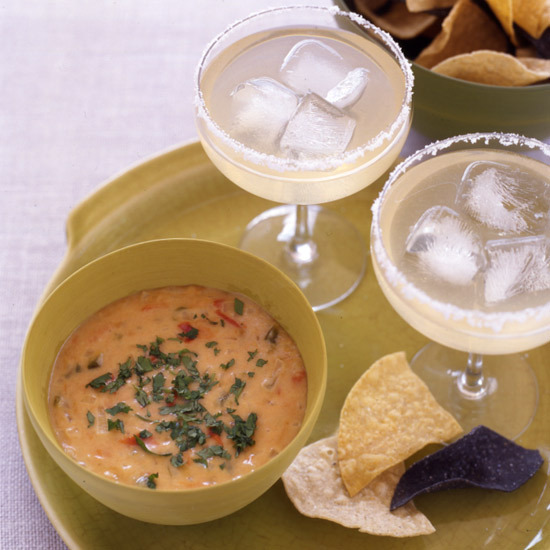 the margarita (or at least the myth of the margarita) was born. Bartenders across the country started making frozen cocktails in blenders in the 1950s, but it wasn’t until 1971 that they got a machine dedicated to creating slushy drinks. Fed up with backed-up orders and inconsistent results, Texas restaurateur Mariano Martinez decided that there had to be a better way. His initial thought was to use a Slurpee machine. “But 7-Eleven wouldn’t sell him one,” Rothbaum says. “So he modified a soft-serve ice cream machine.” It was an instant success. 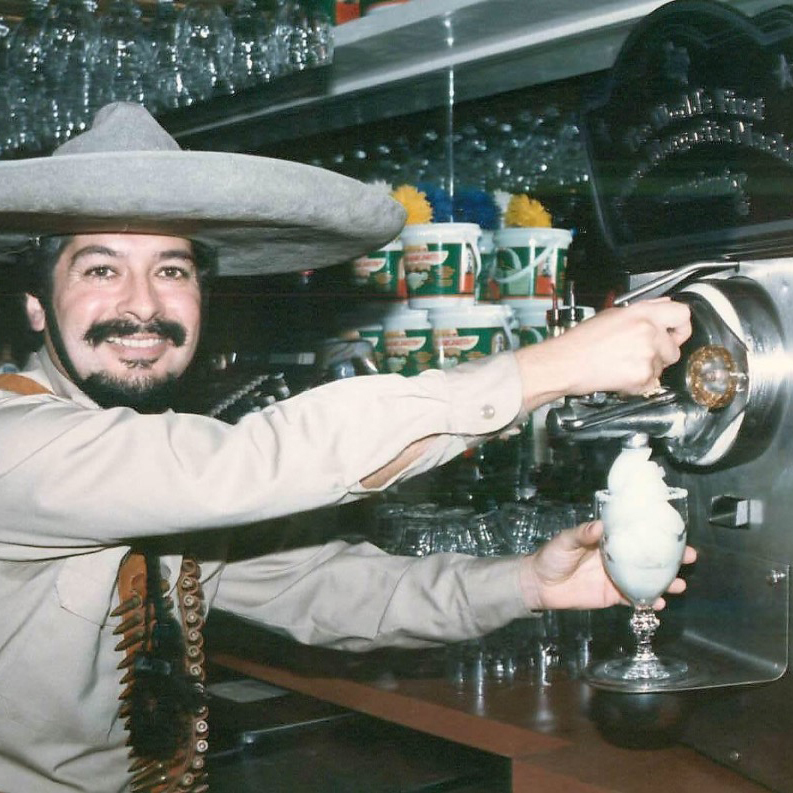 Now the original margarita machine is housed in the Smithsonian, but you can still get the frozen drinks at Mariano’s locations across Texas. “I really don’t think that you can underestimate the Jimmy Buffett song,” Rothbaum says in reference to the margarita’s late-’70s takeoff. “Margaritaville” hit number 8 on the charts in 1977, and Parrotheads across the country sang along while pouring pitchers. In 1985, Buffett opened the first Margaritaville restaurant and store in Key West. Now there are 23 Margaritaville locations (24 if you count the fictional location on Jurassic World’s Isla Nubar) across the country, as well as in Mexico and the Caribbean. The restaurants went on to inspire a whole line of margarita-making products, bringing the Margaritaville experience into people’s homes. There’s Margaritaville Mix as well as Margaritaville tequila (both silver and añejo), which you can blend into a cocktail using one of the many models of the Margaritaville Frozen Concoction Maker. One of the drink's most important iterations was the Cadillac Margarita, made with high-end ingredients and premium tequila. Today, there’s a proliferation of pure, agave-forward bottles to choose from, but that wasn’t always the case. Patrón, introduced to the U.S. market in 1989, was one of the first widely available high-end tequilas that inspired drinkers to opt for the Cadillac. 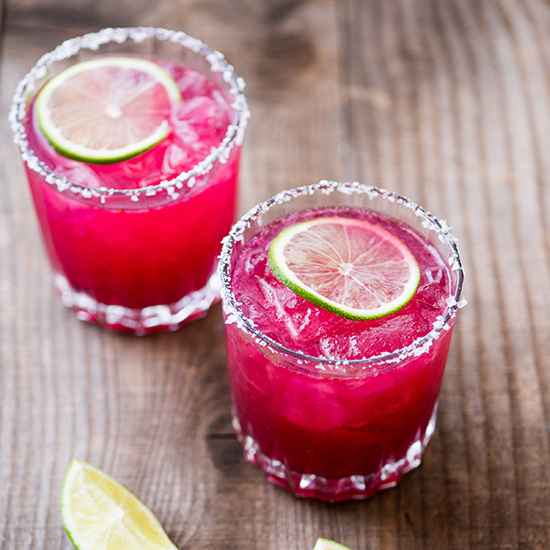 And, according to Patrón, Wolfgang Puck was one of the first chefs to include the brand on the bar menu at his restaurant, thereby introducing it and the concept of a premium margarita to Hollywood trendsetters. Known for its extensive selection of 100% agave tequilas, Tommy’s Mexican Restaurant is also famed for its signature take on the margarita. Around 1990, Julio Bermejo, the now co-owner of Tommy’s, was inspired by his family’s bar’s dedication to agave and swapped out triple sec for agave nectar, a honey-like sweetener. The alteration was small, but the impact was huge. Now Tommy’s Margarita pops up on menus across the country.